Nose. Arbroath smokies that have spent longer than usual in the reek, beautiful citrus and crystal clear malt underpin the chunkiness. Taste. Mesmerising, succulent malt that simply melts on the taste-buds, enormously sweet, yet the balance is contained by deft oak, mouth watering barley and a swift volley of peppering spices. Finish. 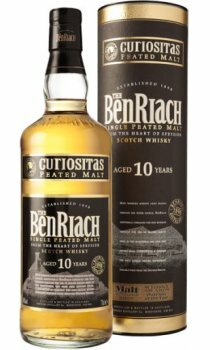 Long, and keeps in shape - just so clean, with vanilla and a hint of cocoa adding singing in harmony to the peaty tune with near perfect bitter sweet for good measure.